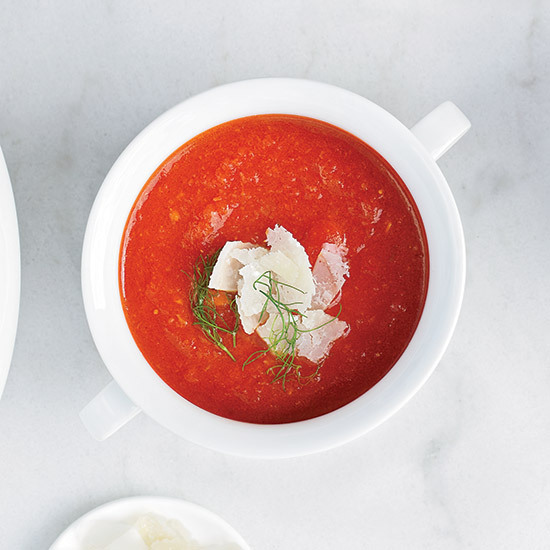 Homemade tomato soup is great any time of year. 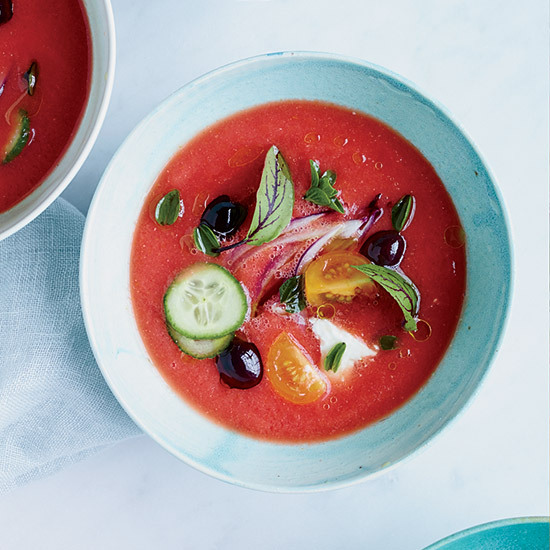 Here, find a collection of satisfying and easy tomato soup recipes, from creamy tomato soup with toasted almonds to fresh tomato soup with crab guacamole. 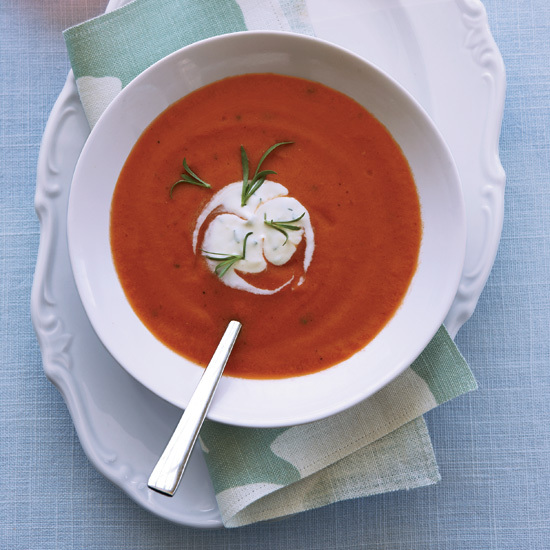 This creamy and buttery tomato soup is sure to warm you up in no time. 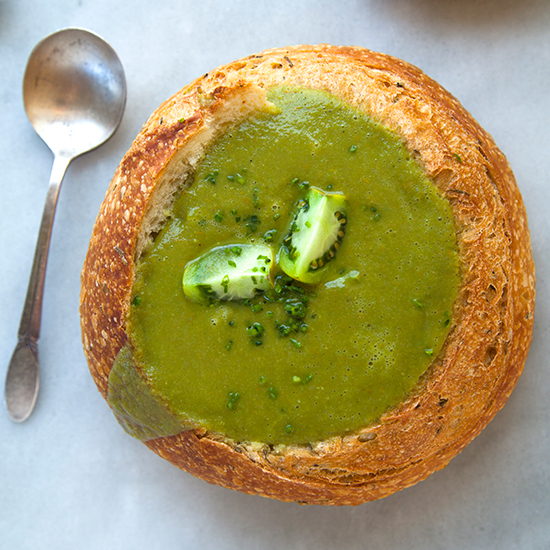 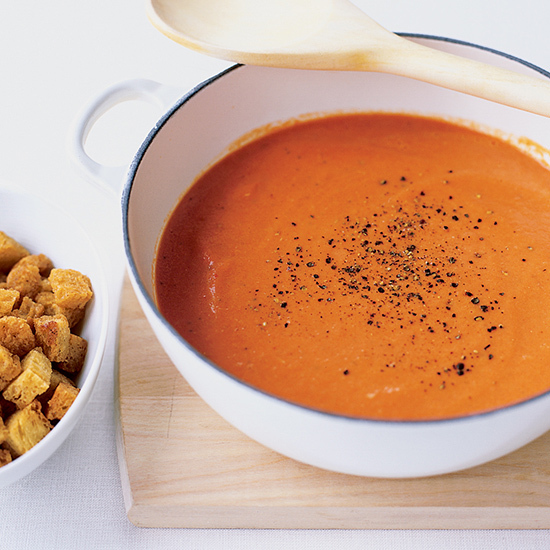 This soup is even great when served cold like a gazpacho. 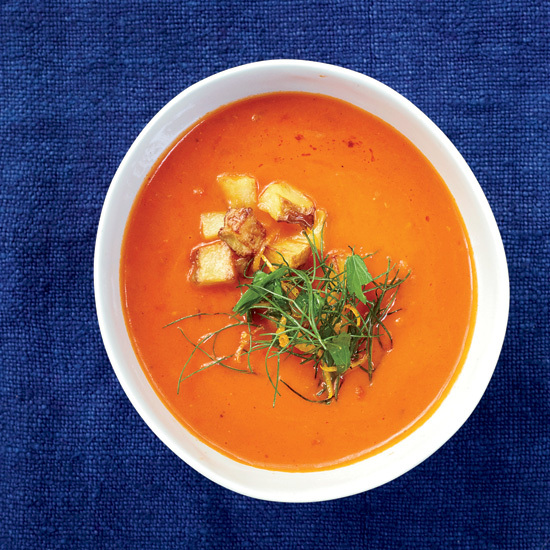 Mild Spanish smoked paprika—also called pimentón—gives dishes an appealing smokiness. 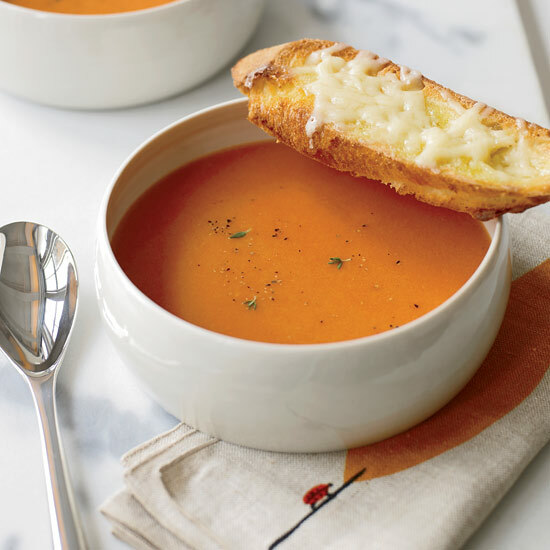 Using the sweetest, ripest tomatoes in season, Melissa Rubel Jacobson makes a simple yet luscious soup flavored with smoked paprika and served with crunchy cheese toasts. 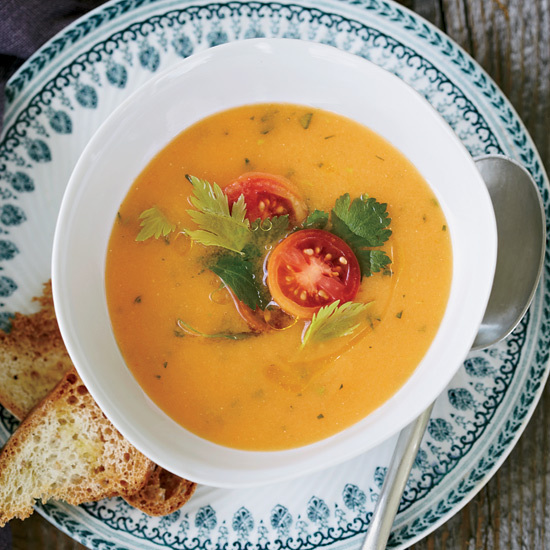 The bright flavors of tomato, orange juice and smoked paprika make this soup perfect for summer, as does its versatility: It's delicious chilled or hot. 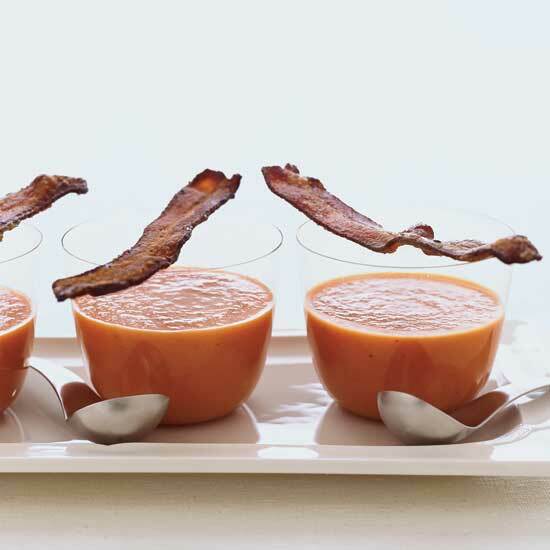 Naomi Pomeroy serves the soup with a side of maple-candied bacon, which she prepares by sprinkling bacon slices with maple sugar and baking them until crisp. 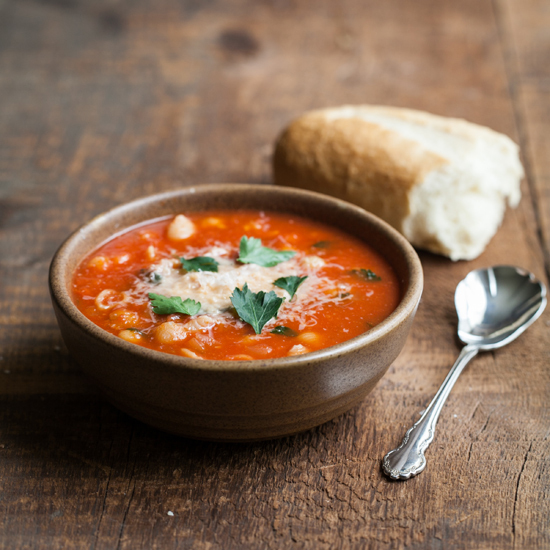 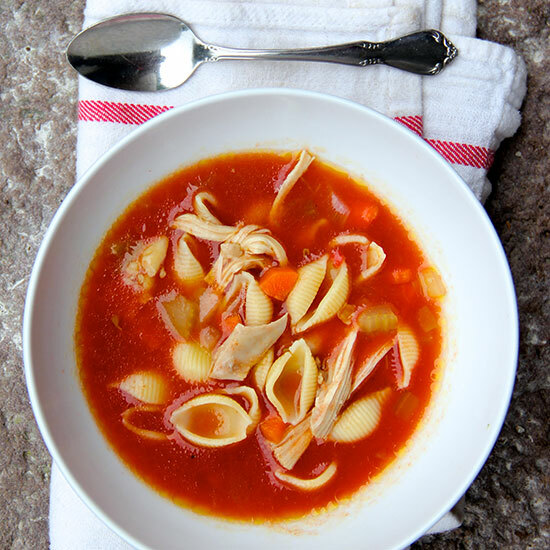 Canned tomatoes—not the seasonally sensitive fresh ones—provide the flavor here, so you can whip up this heartwarming soup any time of year. 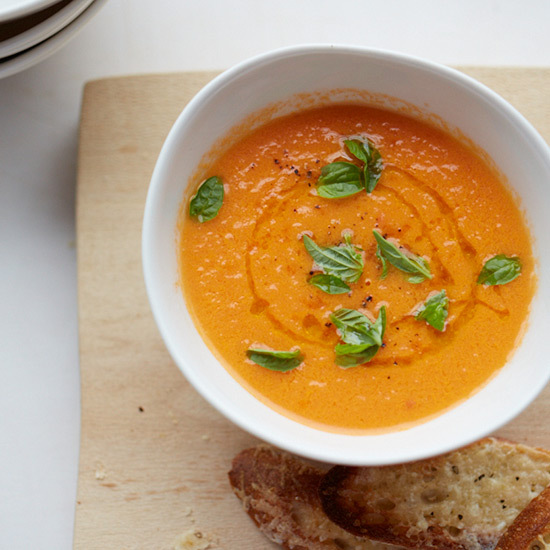 If you'd like to use an herb other than sage, either rosemary or marjoram would be a good choice. 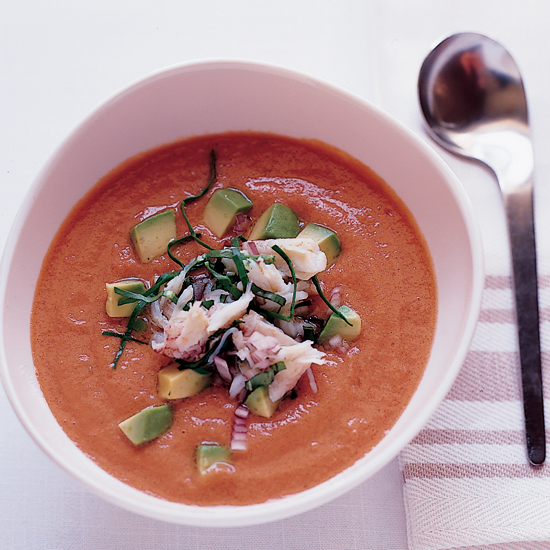 Crab and avocado are perfect with this fresh tomato soup. 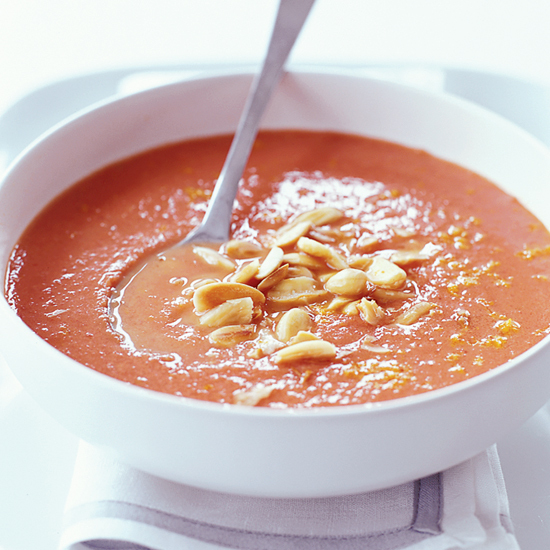 Toasted almonds add the perfect crunch to this creamy tomato soup.